Abstract—The research focuses on simulating the concepts of Soarin and analyze if it would be viable to be put to used alike the un-released technology used currently in AKAMAI. Soarin is a content delivery system which is able to increase content network bandwidth dynamically by deploying delivery servers in a wide area. We discussed the concept of Soarin and proposed simulation as evaluation techniques. Simulation results discussed the relationship between the number of surrogate servers: (1) to its placement strategy, and (2) to its throughput. Index Terms—Content delivery network (CDN), QoS, surrogate server. 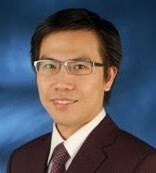 Khai Hsiang Wong is with the Universiti Tunku Abdul Rahman, 31900 Kampar, Perak, Malaysia. (e-mail: david.wongkh@gmail.com). Phooi Yee Lau is with the Universiti Tunku Abdul Rahman, 31900 Kampar, Malaysia. (e-mail: laupy@utar.edu..my). Sung-Kwon Park is with the Convergence Communication Laboratory, Hanyang University, Seoul, Republic of Korea (e-mail: sp2996@hanyang.ac.kr). Cite:Khai Hsiang Wong, Phooi Yee Lau, and Sungkwon Park, "Using Surrogate Servers for Content Delivery Network Infrastructure with Guaranteed QoS," Journal of Advances in Computer Networks vol. 1, no. 1, pp. 页码, 2013.